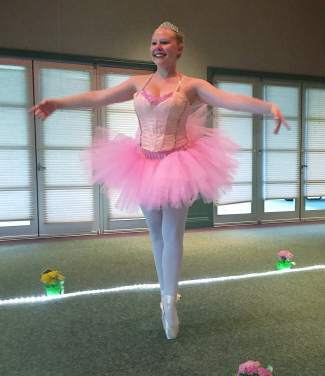 Calley Gottbehuet, senior 4-H Club member, dances her way to the grand champion award for the 4-H Club fashion revue. Calley is modeling a ballet tutu she sewed in the 4-H Club clothing construction project. Come to the Eagle County Fair & Rodeo on July 22 to 25 in the Eagle River Center, where the 4-H projects will be exhibited. For more information about 4-H projects, contact CSU Extension at 970-328-8630.